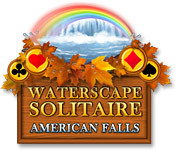 Waterscape Solitaire: American Falls is rated 3.3 out of 5 by 23. Rated 5 out of 5 by Kimmycoo from Totally Appreciated This One! 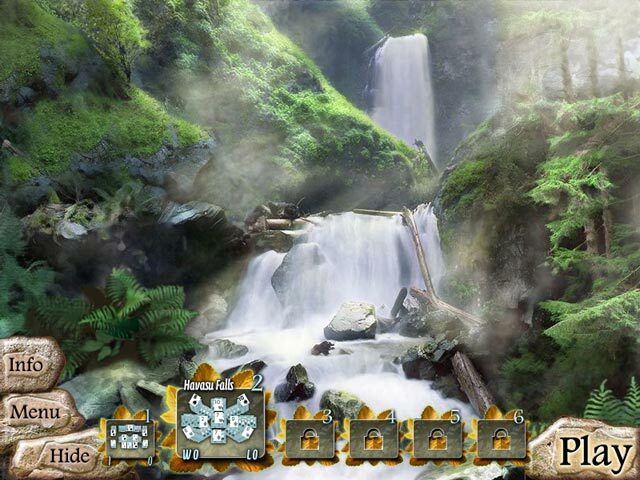 This game has the nicest music, the most beautiful waterfall scenes, animated too! I loved the way you play this game too, in the style of Majong. Loved that you visit real waterfalls throughout the United States. You go through all of the seasons as well, my fav was winter. Loved the natural water, bird and forest sounds as you play. 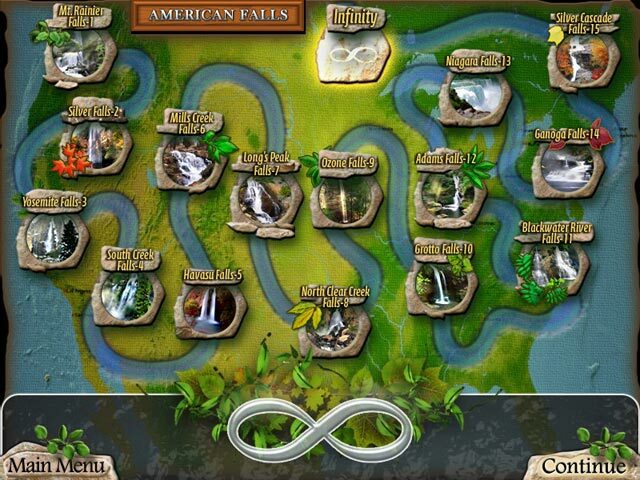 After you beat all of the levels, you can play unlimited, going back to some of your fav waterfalls. This was such a unique idea and I wish there were more like this one. So creative! Highly recommended. Rated 5 out of 5 by tholmes2 from Relaxing This is a perfect game to relax too, I really enjoyed this and the piano music in the background was very soothing..I usually turn off the music but not this time, I left it on, even when I was away and had the game running I let the music play.. I have a high level stress job and when I play this at the end of the day, it relaxes me enough that I can sleep. Rated 5 out of 5 by jcsgame from Relaxing "Match Cards" Game I have played this game many times. It is a very relaxing game due to the beautiful music and backgrounds. Rated 5 out of 5 by treklady1 from When you want a relaxing pace This is an enjoyable game for times when you don't want anything stressful. 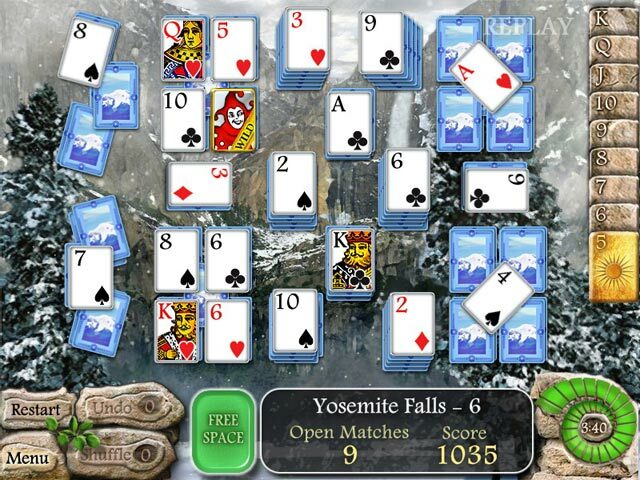 It is a relaxing solitaire game with soothing sound effects, soft music, and beautiful waterfall backgrounds. I almost didn't even try it when I read one of the reviews that stated it didn't save your game, but decided to give it a chance. Well, it DOES save. I tested it several times in the trial mode and had no problem at all with that. Rated 4 out of 5 by carthappy from Nice! Very nice little solitaire game. I was 15 minutes into the demo and decided it was a very definite buy. Music is ok, the sound effect when you make a match sounded (to me, anyway) like some one wheezing :) Seems to have good re-playability, which is very important to me. Well done, developer! Rated 4 out of 5 by phooofeee from I bought it and not I'm not sure why! I dunno...I kinda got suckered into this one. I played the demo all the way thru and bought the full game. I kinda wished I hadn't. It's really the same all the way thru..the levels have different music (well--there are 3 or 4 reels of "music" that keep repeating themselves) The one with the flutes is really annoying because it's the only one that is obviously a loop that jerkily starts over mid way. The others aren't so obvious. I'll probably play it thru the 15 levels and only come back to it once in a while. I like it but it is rather boring. If you use all your bonuses and there are no more matches, you're forced to start the level over again. Rated 4 out of 5 by camjacques from Simple and Unpretentious This is a game for when your brain has had enough of tackling puzzles and searching for hidden objects. It's a game to "chillax" to. Yes, I know all you do is match cards of the same value. So it's not exactly mindbending, but that's its' value in today's stressed world. Ace to Ace, two to two and so on, take it as it is, a simple pleasant relaxing cardgame. The backdrops with the moving waterfalls are beautiful and probably the closest I shall get to visiting America. The bonuses are, that the card backs and music changes at each waterfall; so you don't hear the same tunes all the way through like in so many other similar games. Each waterfall area comprises of six levels. You match up the gold cards to win the level. I think the gold cards will increase as the game goes on. At the moment its two sets to match up of a leaf and a fern. The sixth level is a bonus one, where you match Ace to King in order, and this one is timed. You are given four minutes in which to complete this. There are card helpers, undo and shuffle, just match up the card with it on with another of the same value to get it. and a joker which will match with any other card. If you want to read the "bon mot" at the end of each game, just wait a moment or two before pressing the continue button. I missed them the first time, when I was doing the free hour given. Each game only takes a couple of moments to load, so you're not looking at the load screen for that long, its no big deal, just make it part of this game. No worries Little Fishies. Rated 4 out of 5 by chipps611 from A decent solitaire game This game is very similar to Heartwild Solitaire. You match the cards as you would match tiles in mahjongg. The music is relaxing, the storyline is appropriate, and you have a clear sense of where you are in the game at all times. Played 33 minutes of the trial before writing this, and had I not found Heartwild first, I'd have probably bought this one instead. Worth a look for a relaxing experience. Rated 4 out of 5 by Marie_O from Relaxing I wasn't sure about it at first. I was wanting a solitaire game, not mahjong. But it's just so relaxing and beautiful that it won me over. It'll be the perfect thing when you just want to de-stress, relax and not have to use your brain :-) If you leave and come back, you'll have to restart the hand you're playing, but it'll save where you are along your 'journey'. I don't know what went wrong for the other poster, but you do have the bonus games in the purchased version.